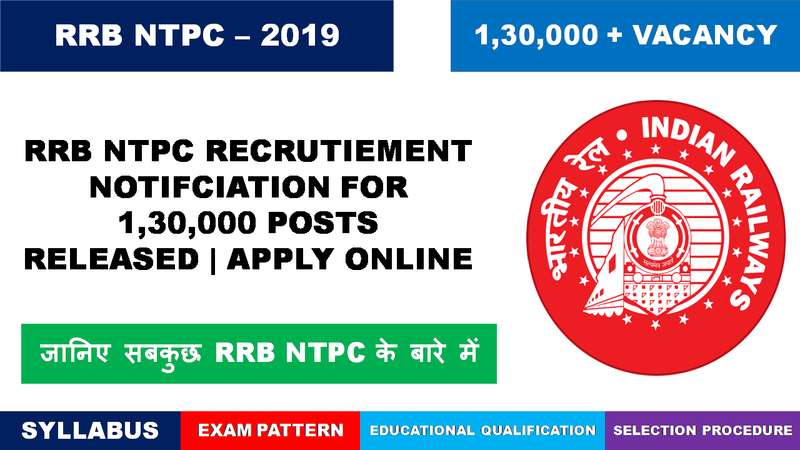 RRB NTPC Recruitment 2019. 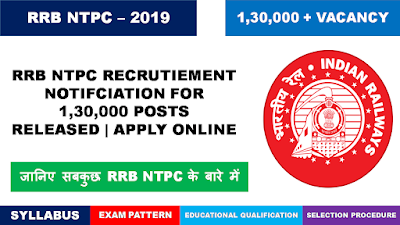 Government has officially Announced recruitment Notification for RRB NTPC Vacancy 2019 along other Vacancy such as Para Medical staff, Level-1 and Ministerial Category to Fill 1,300,000 Posts in Various RRBs. With RRB Group D, RRB ALP, RRB JE and other recruitment in Railways, recruitment for 1,51,548 posts is going on right now, leaving 1,31,428 posts still vacant. Further, the statement said, it may also be noted that approximately 53,000 and 46,000 railway employees shall retire in 2019-20 and 2020-21 respectively, causing an additional vacancy of approximately 99,000 employees. Thus, after accounting for the current recruitment in progress, there will be total net vacancies of 1,31,428 and approximately 99,000 i.e. approximately 2,30,000 employees in the railways over next two years, the statement said. The Railways ministry had said earlier that as part of 2.3 lakh recruitment in coming years, it will be announcing recruitment to 1.3 posts on 23rd February, 2019.